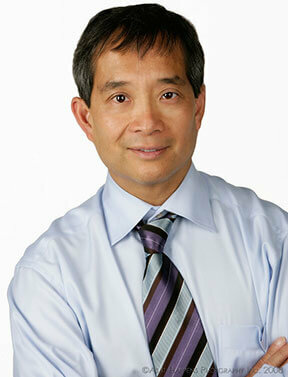 Dr. Pong graduated from the University of Western Ontario with a Degree in Dentistry in 1983. He has been practicing in Oakville since 1992. He started his own practice on Cross Avenue in 1997 and moved to the present location on Iroquois Shore Road in 2018. Dr. Pong provides traditional family dentistry in combination with cosmetic, orthodontic and dental implant procedures. There are also new technologies incorporated into the practice such as the Velscope, a non invasive oral cancer screening device. Dr. Pong is active in the community and has been a member of the Rotary Club of Oakville West since 1995. Dr. Pong also is a member of the Canadian Dental Association, the Ontario Dental Association and the American Academy of Cosmetic Dentistry. An Oakville resident since 1985, Dr. Pong is married and has three children. Monica started her dental career in high school at Dr. Pong’s office before going to college to further her education. She graduated from Toronto School of Business as a certified dental assistant in 2003. Dianna graduated from Toronto Dental School in 1988 and has been working at Dr. Pong’s for 25 years. What Dianna likes most about the dental field is her ability to make a difference in someone’s health and life. Diana’s goals are to continue to learn and focus on caring for patients in her role as receptionist. She loves being part of the team at Dr. Pong because of the bright, welcoming space and their family-focused approach to dental care. Melissa graduated in 2012 from Oxford. She has been working at Dr. Pong’s office for 3 years and loves to see the improvements in patients’ gum health and overall oral health. She believes that Dr. Pong stands out for their ability to provide quality dental care in a down-to-earth way. Her goal is to be as knowledgeable as possible, so she can educate her patients to the best of her ability. She takes great pleasure in working in their beautiful new offices, which offer a bright environment with friendly staff and patients who are always appreciative. Puja did her dental training in India and graduated in 2017. She is new to the Dr. Pong dental team and enjoys creating happy smiles in a stress-free environment. Puja is fascinated by all aspects of dentistry and strives to learn as much as she can every day. She appreciates the fantastic team at Dr. Pong, the high standards for cleanliness, and the safe and stress-free environment. To her, patients are an extension of the office family. Copyright 2019 Simon Pong Dentistry. All Rights Reserved.